The date April 1st is very special for the state of Odisha, the 'Soul of Incredible India'. 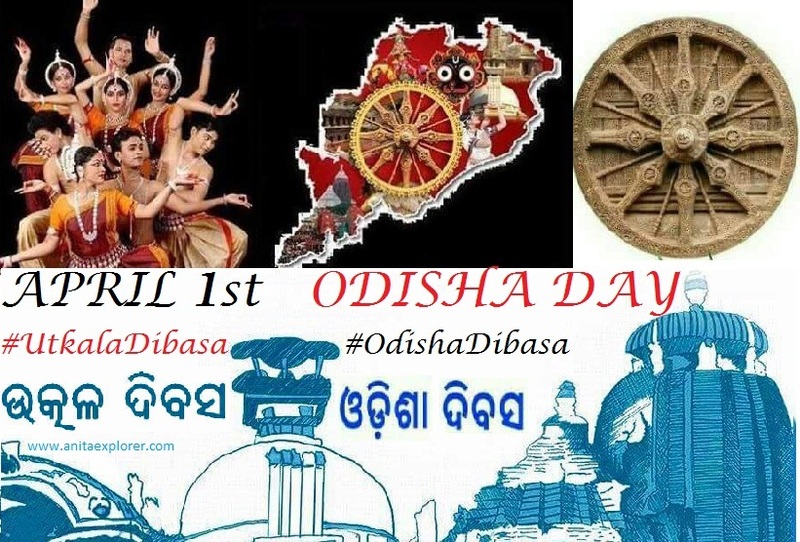 April 1st is celebrated as Odisha Day, Odisha Dibasa, Utkala Dibasa or Utkal Divas. 'Utkala' was one of the earlier names of Odisha. 'Utkala' finds a mention in 'Jana Gana Mana', the national anthem of India. The word 'Utkala' means- 'Utkarsha Kala' i.e. 'The land of exquisite art and craft'. The word 'Dibasa' means 'Day' in Odia language. 'Divas' or 'Diwas' means 'Day' in Hindi language. 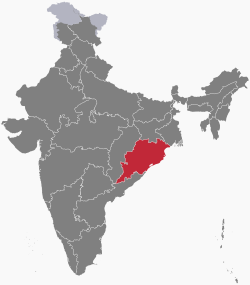 Odisha state was formed as a separate province on 1st April, 1936. Odisha was the first state of India that was formed as a politically separate state under British rule on a linguistic basis. Thus, 1st April is celebrated as Odisha Day or Utkala Dibasa. When it was formed, Odisha's capital was Cuttack. Odisha constituted six districts- Cuttack, Puri, Baleswar, Sambalpur, Koraput and Ganjam. Today, there are thirty districts in Odisha and Bhubaneswar is the present capital of Odisha. Odisha Day is celebrated every year on April 1st by Odias worldwide. Many events and competitions are organized. Office buildings are lit. Odias participate in the festivities. 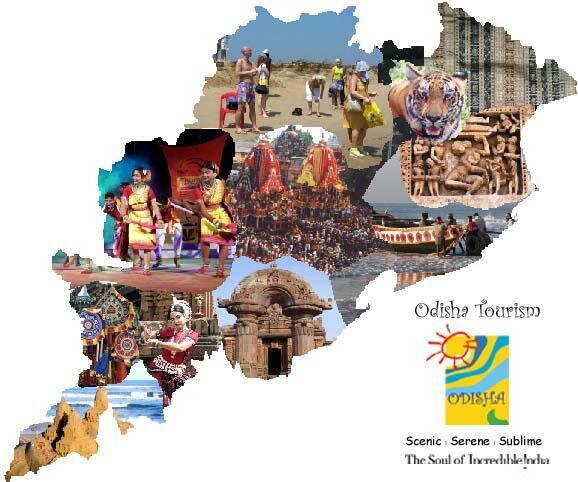 Odisha boasts of natural resources and ancient heritage and culture. Check out some marvels of Odisha in this post. I'm participating in my second #atozchallenge. A for April 1st - #UtkalaDibasa. Good to know more about Odisha! This was an eye-opener for me. I love your AToZ Theme! All the best Anita! Great to read. Best wishes. Interesting! I didn't know that it was the first state to be formed on linguistic basis! I haven't been to Odisha. Hope to visit it some day! I have always wanted to visit Odisha. Glad to find such interesting info about this culturally rich state. Great read.